Located south of the rural near-border town Jackman, Coburn Mountain is one of the most prominent mountains in all of New England. Towering over timber country, the 3,717 foot tall peak was the site of a massive ski area proposal in the 1960s. Named Enchanted Mountain, the ski area never progressed beyond its first phase. Geographically only a few miles west of Big Squaw ski area and north of Baker Mountain ski area, Enchanted Mountain operated for less than a decade. Hours from the nearest city in the cold mountains of the Moosehead Lake region of Maine, Enchanted Mountain was designed by E. H. Lord-Wood Associates as a destination ski area. 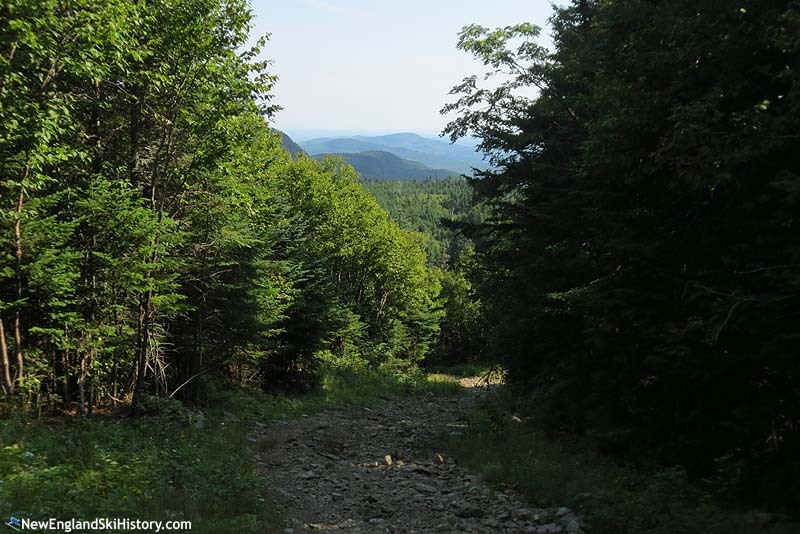 North Haven Construction Company built the initial ski area in 1965, consisting of multiple trails spanning 1,200 vertical feet on Coburn Mountain. The ski area was reportedly built on land leased from Scott Paper Company, which would later become owner of nearby Big Squaw ski area. 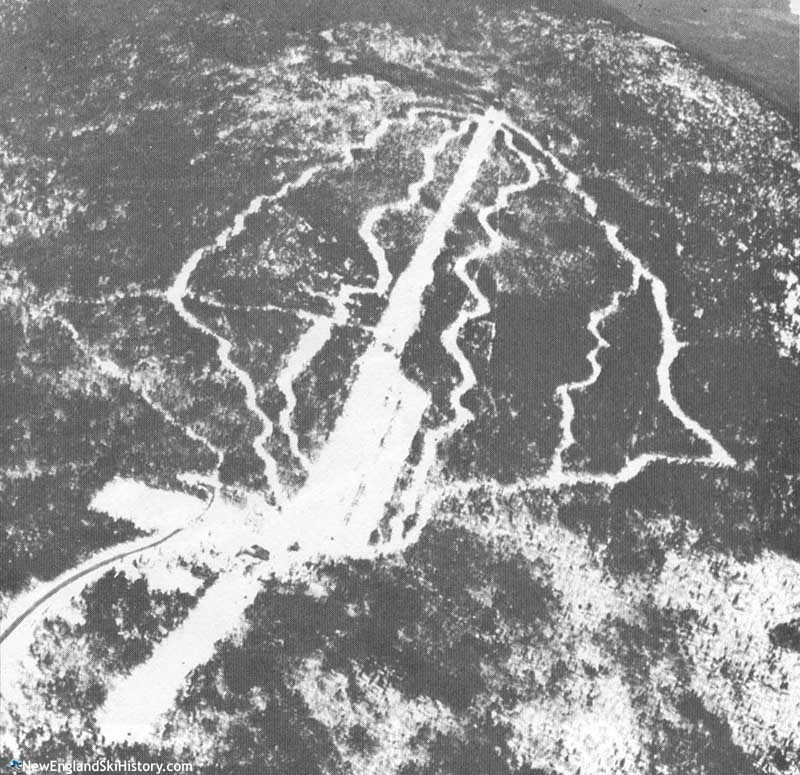 The lower portion of the ski area debuted in early 1966 with a 1,200 foot T-Bar lift and possibly a 900 foot novice Poma lift. A 4,200 foot Poma double chairlift was added for the 1966-67 season, increasing the trail count to seven. Rounding out the improvements, a new access road was constructed. Additional lifts were proposed to be installed within 3 years. Long term plans included three more trail pods, a tramway, and six double chairlifts, covering some 14,000 acres. Financial problems intervened, however. By the time the fall of 1969 rolled around, Enchanted Mountain was out of business and on its way to the auction block. The area was eventually sold by the Small Business Administration to Terry Tyler (founder of Maple Valley), Willis LeFavour, and Robert LeFavour. The new ownership reopened the ski area in February of 1970 and had plans to build lodging on site. Heading into the early 1970s, the area tried to provide unique offerings, such as night time snowshoe tours and free board for anyone who brought their own sleeping bag. The LeFavours were unable to rescue the remote ski area from financial doom. While listed in some ski publications for many years after, there is no known record of Enchanted Mountain operating beyond the 1972-73 season. The area was advertised as for sale in industry publication Ski Area Management in 1973. With no buyer found, the Small Business Administration moved to liquidate the area in 1974. Since then, the lifts and buildings have been taken down. A small communications facility was built near the top of the chairlift, while a larger one sits at the top of Coburn Mountain. All terrain vehicles and snowmobiles still use some of the otherwise overgrown trails. 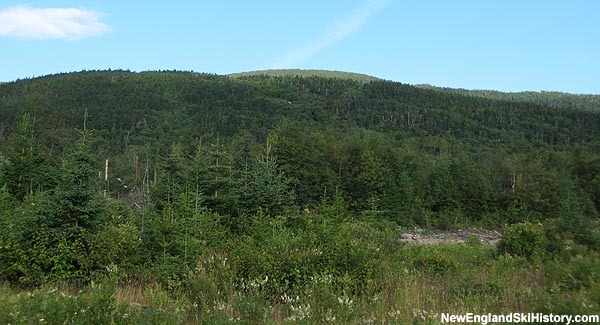 A large logging project commenced in the early 2010s, further eliminating the remaining traces of the lower portion of the ski area. "A friend I grew up with had a camp at the bottom of the entrance to Enchanted, on Markham Pond. We watch them building the ski area. In the early 70's we went up skiing during winter break. One day the winds were so high that they wouldn't open the chair lift because the chairs were banging against the masts as they went by. The temperature was in the single digits. There were only 3 of us and they finally opened the place up to us 3. It was awesome! We had the place to our-selfs because no one else was stupid enough to be out there skiing. It was a great place to go sking because there was always plenty of snow and you never had to wait to get on a lift." "A friend and I drove snowmobiles to the top of enchanted ski area about the year of 2001. When stepping off the sleds, I was warned not to step past the packed snow. It was so deep, the 'shrubs' I was standing near we're actually treetops!! Had I stepped too far, I could have been swallowed by the snow! Beautiful up there."